In August, Kathleen and I headed to Los Angeles to attend Climate Reality Leadership Corps training. Given the GHG and monetary cost of flying across the continent, we looked for other things we could do while we were in town. Proterra have an assembly plant in the area and I realised it was not that far from where we were going to be staying. I had met members of the Proterra team when they visited Ottawa with a bus earlier in the year for the EV20018VE conference. 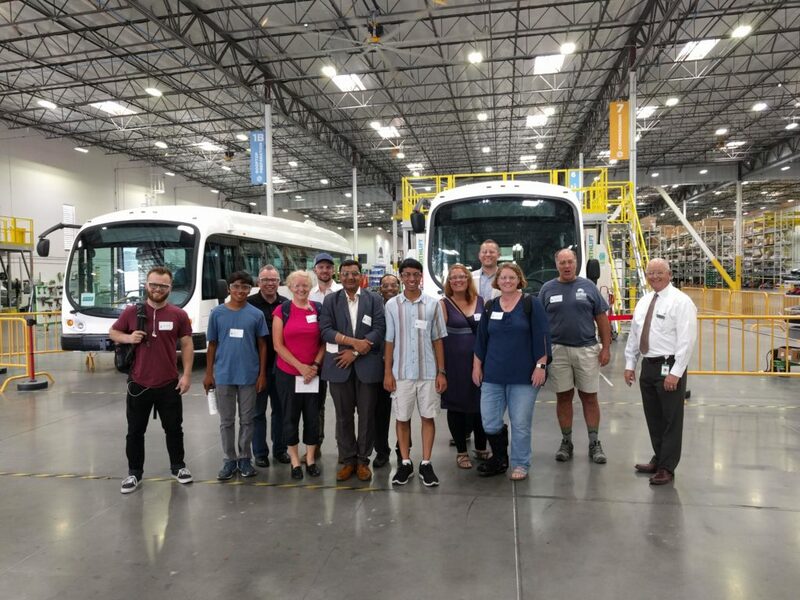 After a few emails to Proterra we arranged a factory tour for the trainees for the day before the training started. Switching buses away from fossil fuels is a vital part of climate action, municipal bus fleets are significant emitters of GHGs and a source of considerable air pollution. Here in Ottawa, the bus fleet emits over 160,000 tonnes of CO2 annually and pollutes the city with NOx and particulate matter. A number of North American transit authorities are planning to either stop buying diesel buses or to phase them out completely between now and 2040 and we can look forward to more TAs joining them over time. 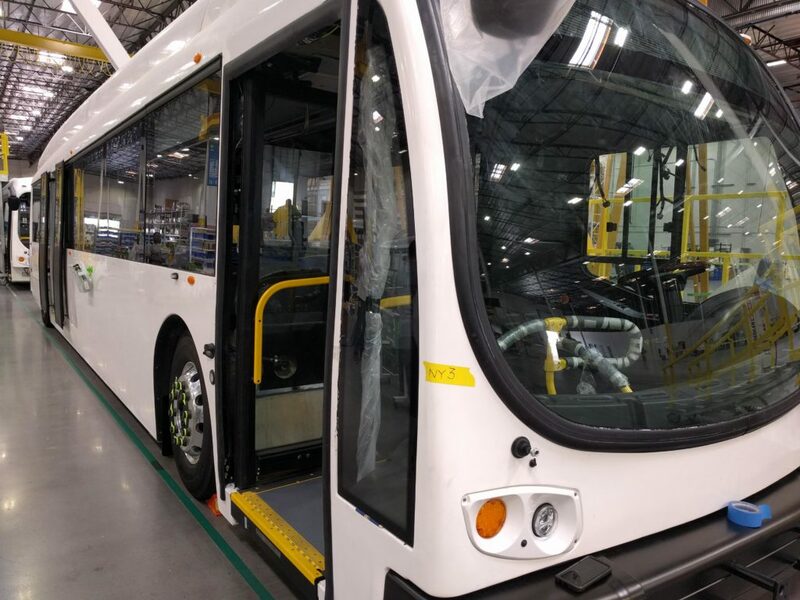 Although the electric bus industry is in its early days in North America, considerable progress has been made in China with something like 400,000 e-buses on the road. 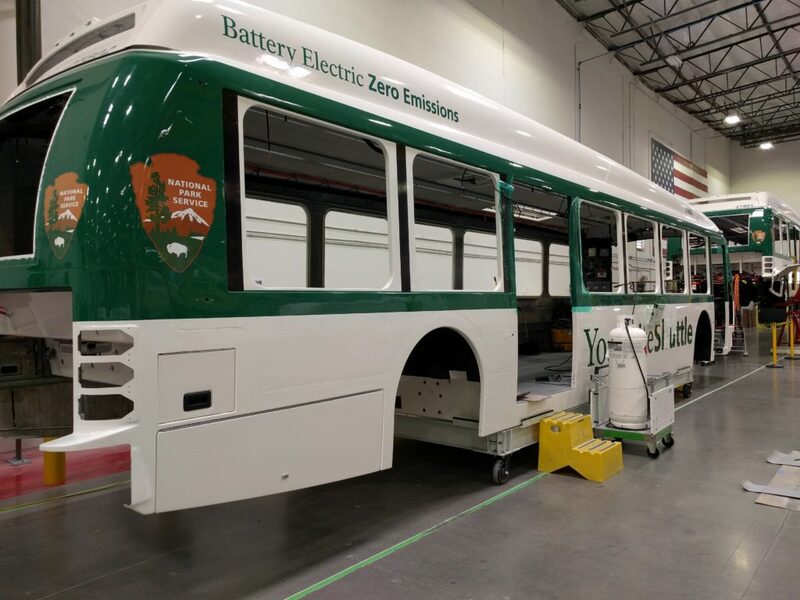 Progress has been far slower in the US and Canada but there are signs that the market is starting to look at future adoption of electric buses. Proterra has competition from BYD’s California operation, New Flyer, Nova and Green Power. Proterra is also working with Alexander Dennis on double deckers. 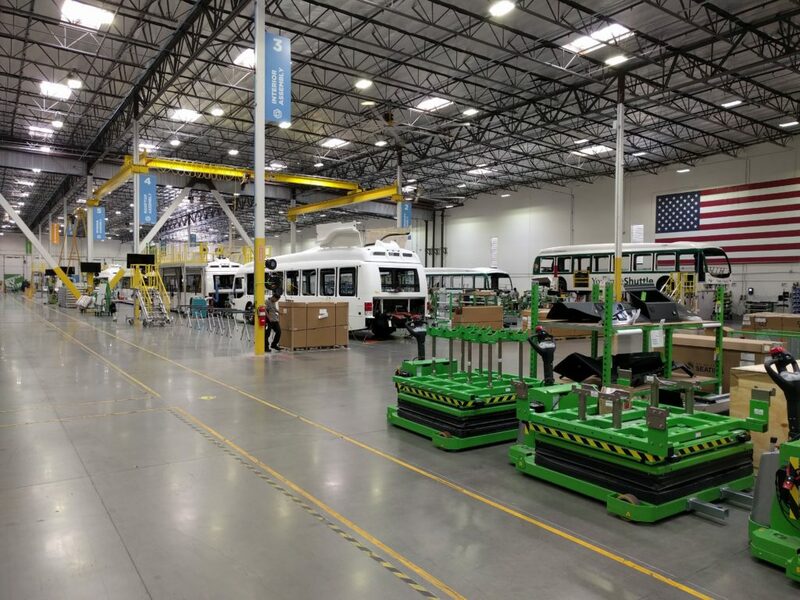 Proterra has orders for, or, has delivered about 344 buses. 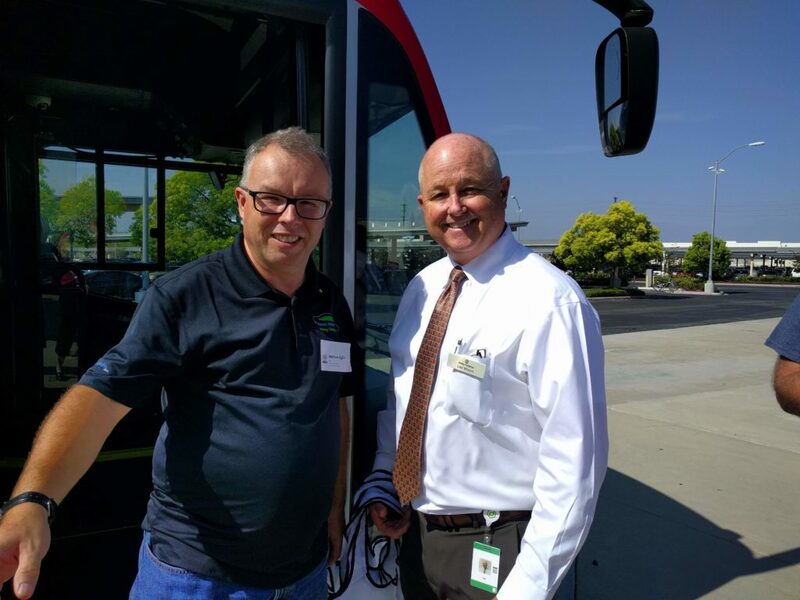 Recently, Proterra received an investment from Daimler that has resulted in cooperation with Thomas on an electric school bus. On the day of the tour we caught a train from downtown LA to the City of Industry. Proterra picked us up from the station with a brand new bus, for many of the trainees this was their first time on an electric bus. As happened the last time I rode a Proterra bus, I nearly fell over when the bus accelerated away from a light, I should learn to hang on, this is not your grandpa’s bus! 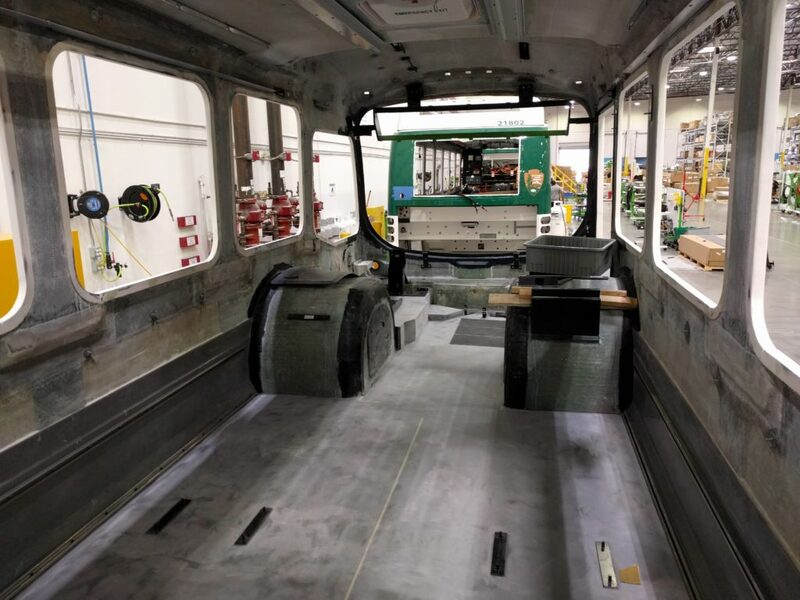 By building a composite monocoque body, Proterra has been able to simplify the design of the bus and provide space under the low-floor for the batteries. The body is built in two parts, top and bottom. Carbon fibre is used where strength is needed. There are a lot of similarities with boat building. Composite boats can last 40+ years whereas bus frames require corrosion repairs and in some cases complete body rebuilds during there 12-18 year life. The bodies are delivered to the LA plant as complete units. The battery packs form part of the bus structure when they are installed. 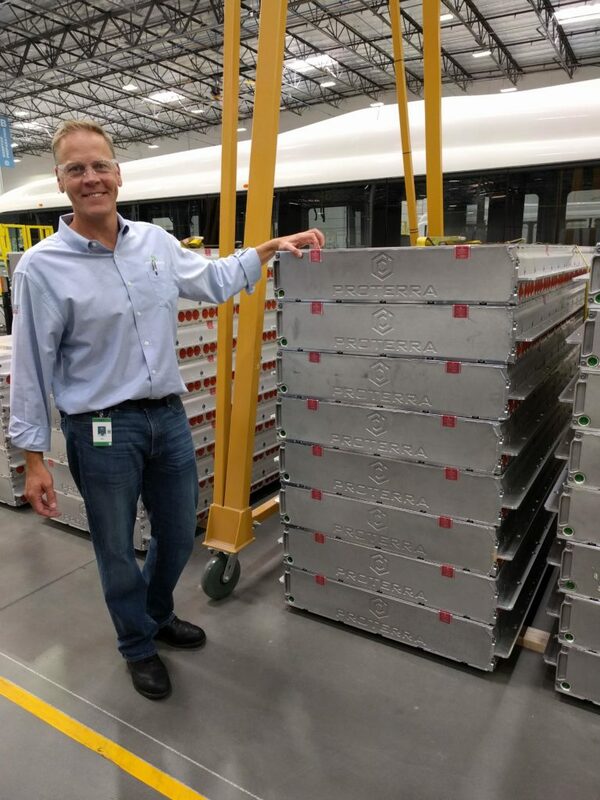 Proterra has considered the battery lifecycle and the packs can be stacked for use in a second life power storage solution. In many electricity markets, including Ontario, having power storage available at the bus depot can significantly reduce the cost of charging. The front and rear suspensions are bolted directly to the body. The production line was full the day we were there. 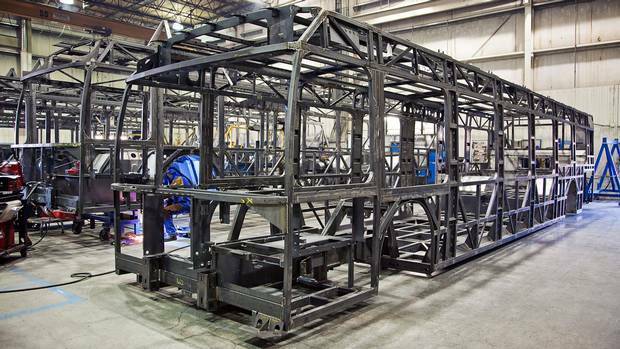 Proterra have a backlog of orders and they are looking to speed up production. I asked how many hours they take to build the bus and the targets, the plant manager had the numbers on where they stand and where they want to be. Proterra is in the process of setting up a second line in the same space, having recovered some space from a tenant in the building. Our hosts were generous with their time and very open. 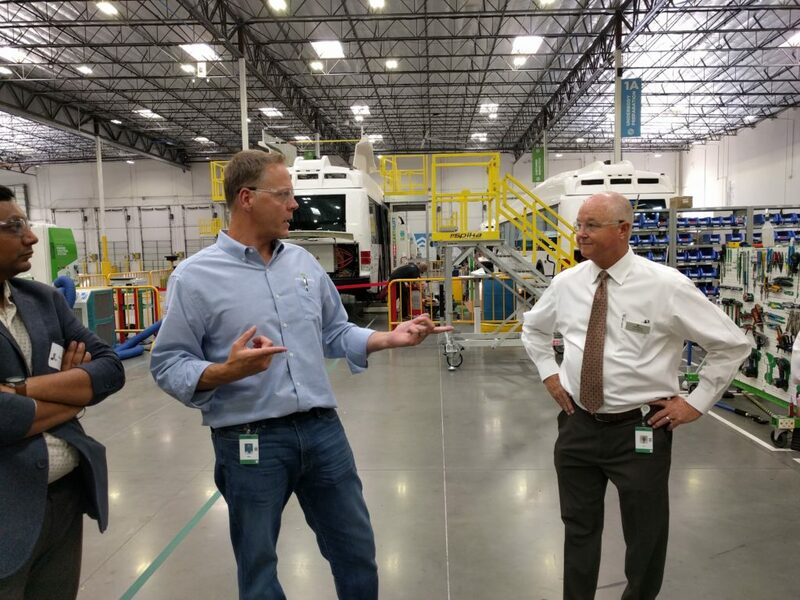 Some of Proterra’s leadership has worked at Tesla and there are similarities between the companies. Both are start-ups with no fossil fueled baggage, both are based in Silicon Valley. Our group of trainees were happy to be given a really good introduction to electric buses. Seeing how they are built and how much simpler they are than a diesel bus, was eye opening for all of us. 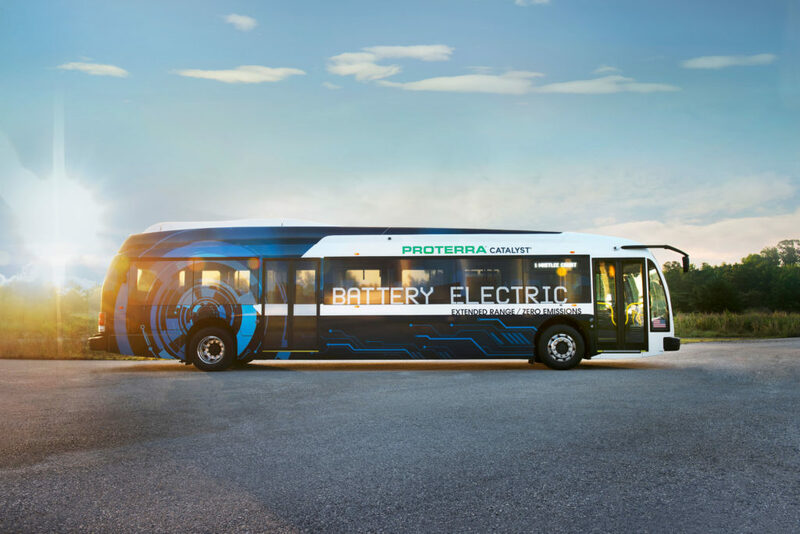 I work around buses everyday and Proterra has a really interesting value proposition that goes beyond just swapping the power source but looks towards a future where buses are just simpler and lower maintenance. Proterra dropped us back at the station in the City of Industry and spent even more time answering questions and showing features of the bus while we waited for the train. Thanks go out to TJ Nass, Brian Millar and Lee Wixom for hosting and to Michael Hennessy and Steve O’Neil for setting up the visit. A couple of days later, Ryan Popple, Proterra’s CEO was one of the presenters at the Climate Reality Leadership training. Ryan was not there to promote Proterra but to take part in a much wider climate discussion and it was clear from his words that climate action is one of the major motivators of the management of Proterra. ← Aesthetic argument against windmills…really?